The House of the Tragic Poet is a small, but excellent example of a Pompeian house in the Imperial age. It was built in its present form around the end of the first century BC. The fauces is decorated in the fourth style with yellow panels separated by broad bands of red above a lower red frieze. 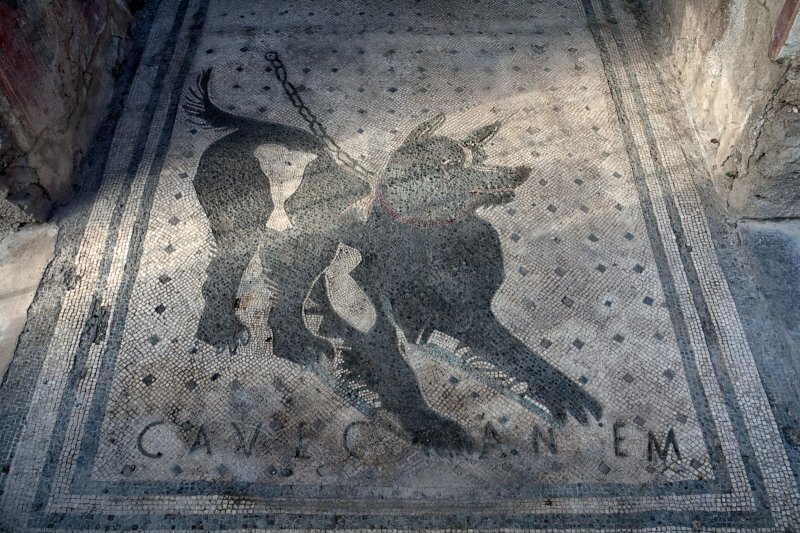 The fauces has a black and white mosaic floor featuring the well known mosaic of a dog on a chain, bearing the warning cave canem - 'beware of the dog'.